Volkswagen is Das Auto. Our sales department has one purpose: to exceed your expectations from test drive to delivery. 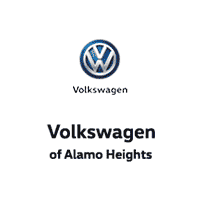 At Volkswagen of Alamo heights, we are sure to fulfill this goal. Our dealership has much to offer. We have four waiting lounges with free Wi-Fi, two coffee bars, and five televisions for you to enjoy. We have everything we need to ensure the best automotive experience. Come and see for yourself!